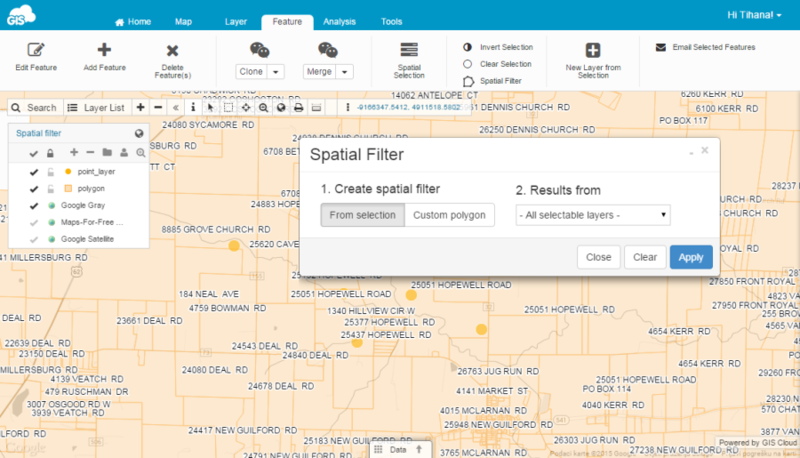 Spatial filter makes complex selections easy. There are two options for defining the area of interest. 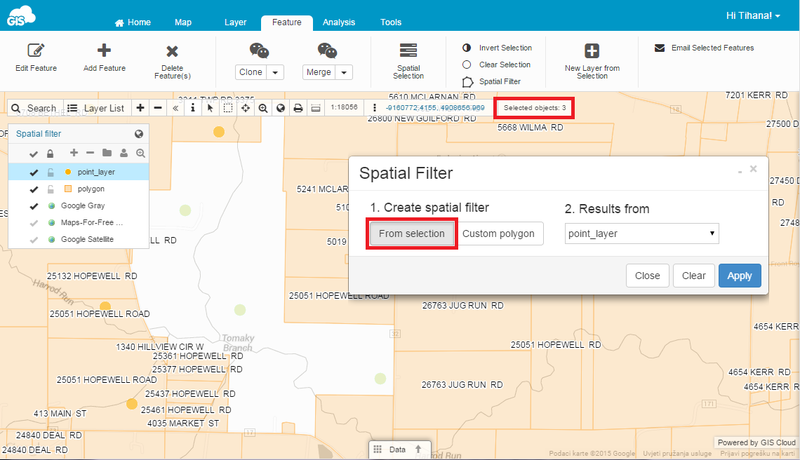 If features have been selected with one of our standard tools, it will become filter area by clicking on the From selection option. 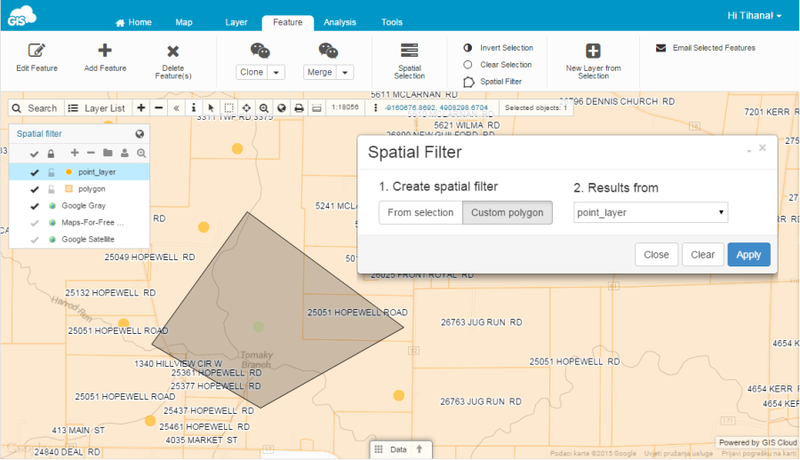 Other way is to draw a custom polygon on the map, after choosing the Custom polygon option. Note: You can see the number of selected objects in Toolbar. Except the area, included layers can be selected as well. From the drop down menu choose from which layer features will be selected if they are inside the defined area. Apply filter will select all features which meet defined requirements. Clear option will remove drawn filter polygon.